Luggage and Freight – the good news and the bad news. Home » Blog » Posts » Luggage and Freight – the good news and the bad news. In the past when ever I have heard about people losing their luggage I always thought about how awful it would that be. As a self-confessed gadget guy I couldn’t imagine being without all my accessories and camera gear etc when traveling… well now from experience I can tell you… “you do get used to it”. I’m starting to think that perhaps traveling with Michael Were may be bringing the “bad luck” with us considering what we went through with the sterilizer going to Philippines a few months ago. (Click here to read that saga if you are keen). Michael has now redeemed himself though. He managed to find in town a battery charger for my baby, my Canon 5D Mkiii Camera. My primary role here in Tonga is to shoot a promotional video for OHI on their work, so it’s a bit hard to fulfill my end of the bargain when the battery goes flat on the first day, and your other batteries and chargers are in your bag that is missing. Our last update on the missing bags is that they’ll turn up on a flight today, they are currently in Auckland. Fingers crossed! 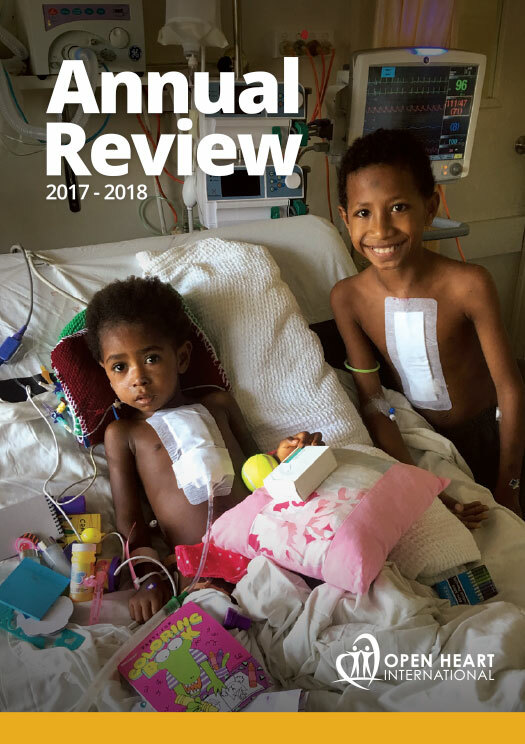 Personal luggage aside, there is good news to report that all 180 boxes and trunks are safely here at Vaiola Hospital, with thanks to Air New Zealand. As I understand it, Michael was a little bit stressed about this a week ago with concerns that it would be delivered on time. A bit of begging and pleading, and thankfully it has arrived safely and ready for the 2 weeks ahead. 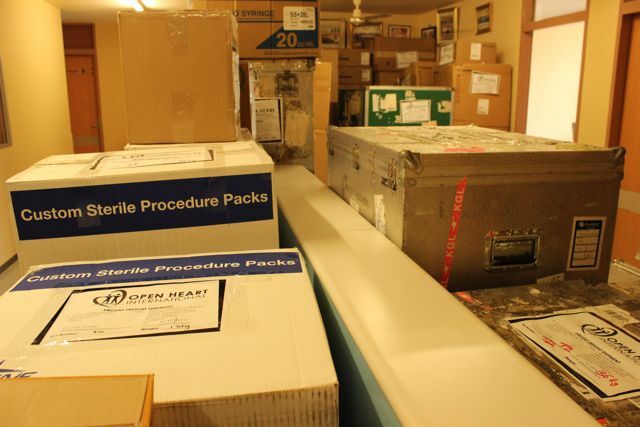 As a first time observer of the cardiac side of Open Heart International, I was quickly amazed by the packing process. At first it seemed like a needle in a haystack, but there is a method in the madness, and within a couple of hours we had accounted for it all and segmented it into areas ready for the main teams arrival tonight. 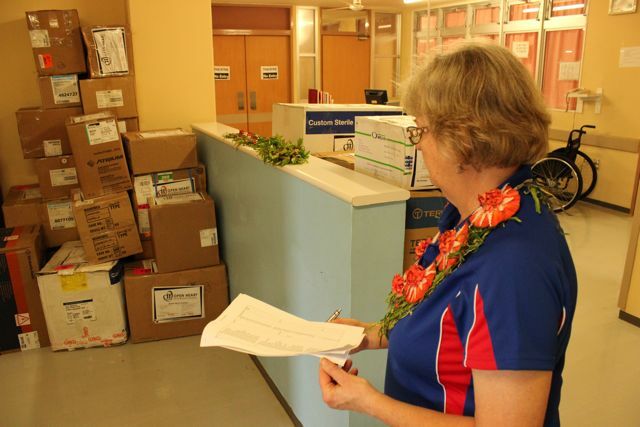 Helen is getting a head start on the unpacking – ICU is already being transformed.